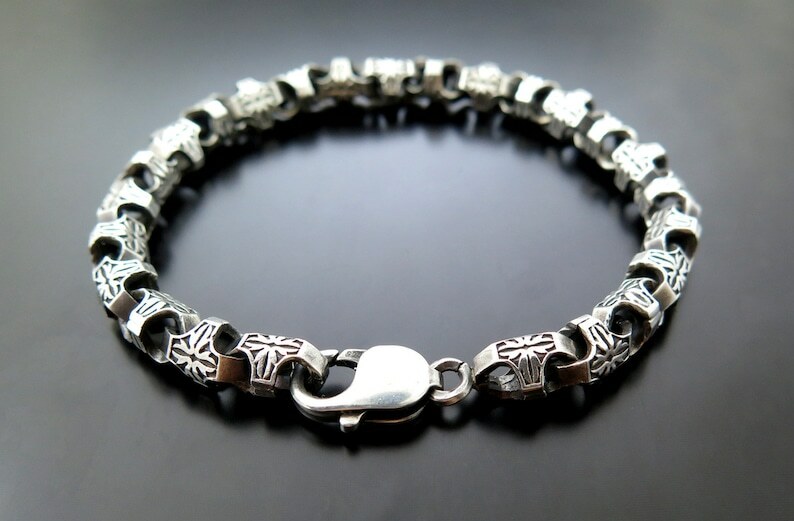 Handmade sterling silver bracelet for men. Beautiful and massive bracelet made of silver 925, this is a great gift for him for any occasion. Looks great and very neat. → Solid Sterling Silver .925. → Created by silversmith workshop with hand silver casting and hand high polished. Silver oxidized finish. █ Comes with 3 different LENGTH please choose from drop down list.